Do you ever wonder why many yards in your neighborhood seem to look so healthy and vibrant? It’s no accident—it’s the fine work and attention of professional tree trimmers. 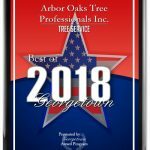 When homeowners in the Georgetown, Texas area are looking for local tree trimming services, they depend on the experts at Arbor Oaks Tree Professionals. Trees can have a profound effect on your landscape, adding visual impact, shade, and value. Keep yours looking their best with the tree trimming Georgetown TX residents have relied on for quality and affordability. We have decades of experience, especially when it comes to oaks, which are ever-present in our region. Our professional tree trimmers will analyze your property carefully and remove the weak, dead, storm-damaged, diseased or interfering branches. Often, this also involves ball moss, mistletoe & vine removal. What’s more, regular tree trimming can provide directional growth patterns for new trees, minimizing the risk of storm damage, and providing clearance for streets, sidewalks, driveways, structures, and overhead lines. 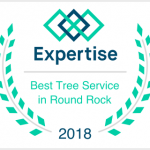 Ensure your trees stay healthy and beautiful year-round with the tree trimming Georgetown TX and Austin have counted on for years. Arbor Oaks offers complete local tree trimming services that’s customized to your property. Discover what we can do today by calling 512-240-6047 for a free estimate.